For decades doctors have known that oral health can have a big impact on your general health. How you take care of your teeth and gums could determine whether or not the rest of your body will be in good shape. As the public becomes more aware of this connection, doctors and dentists face a barrage of questions about oral health. The most common oral health questions tend to focus on preventative advice. People want to know how to avoid problems with their teeth and having to make those extra trips to the dentist. Here are some common questions a dentist gets. Q- Is fluoride really necessary? A- Children need fluoride to protect their teeth from bacteria and sugar. Those who wear braces also need it to protect their teeth against white spots, also referred to as de-mineralization. A dentist will tell you, it is difficult for people with braces to access all the parts of each tooth during oral care. Fluoride helps those who are prone to root cavities and tooth sensitivity too. If you suffer from dry mouth for medical reasons you can also benefit from using fluoride because it can prevent cavities and infection. Q- How do I prevent cavities? A- Tooth decay is a common condition. The only ailment that occurs more often is a cold. Tooth decay leads to tooth loss in young people quite often. Tooth decay is what causes cavities. Preventative steps can be taken to avoid damage like cavities. The basic measures include brushing your teeth twice a day with fluoride toothpaste, flossing daily, eating nutritious meals and avoiding snacks. Snacking increases the time that acids are in contact with the surface of the tooth. As an added preventative measure you can talk to your dentist about supplemental fluoride to strengthen your teeth. 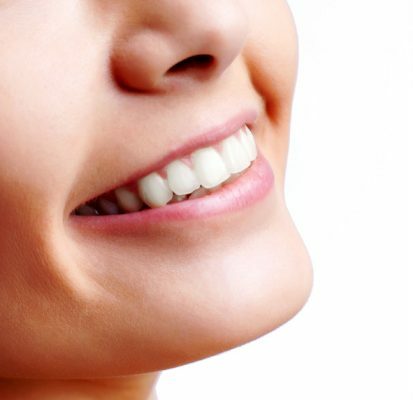 Q- What can be done to avoid gum disease? A- Every dentist has seen the damage of gum disease. Gum disease is caused by bacteria growing in your tooth and gum area. The bacteria irritate your gums causing them to swell and bleed. Smoking and the use of spit tobacco can also cause gum disease. Sometimes poor oral hygiene can also contribute to the problem. Flossing can significantly reduce your risk of gum disease. In recent years studies have shown that dried licorice root is effective in killing the bacteria that causes gum disease. There is also evidence that people who lack Vitamin C in their diets are at risk of developing gingivitis. Vitamin C has antioxidants that can repair connective tissue. Vitamin D is also helpful because it has anti-inflammatory effects. If you consume enough Vitamin D you could reduce your risk of swollen gums. Q-Why do I have bad breath and how do I get rid of it? A- Bad breath can come from food particles, poor oral health, improper denture cleaning, periodontal disease or smoking products. It could also be a sign of a medical problem with the stomach, lungs and bloodstream. Alcohol and some prescription medications can contribute to the problem as well. Here are a few preventative tips that will go a long way in helping you kill that bad breath: floss and rinse every day, don’t forget to brush your tongue, and see your dentist on a regular basis. While preventative action is the key to good overall health, most medical professionals agree that it is even more true when it comes to oral health. Eating nutritious foods, brushing and flossing regularly, avoiding sugary snacks, and visiting a dentist on a regular basis has proved to make a big difference for a lot of people.